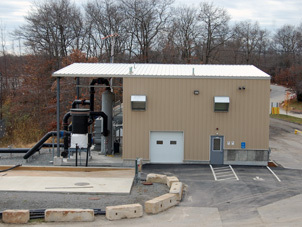 Hydrogen Sulfide (H2S) is the greatest nuisance odor as well as the most corrosive of several trace chemicals present in landfill gas. With the removal of H2S from the gas stream overall production efficiency is increased and repair costs to pipes and power generating equipment are greatly reduced. H2S removal technologies - A fast-reacting, caustic-oxidizing liquid media, H2S precipitation, that can be custom applied as a scrubber assisted direct injection. These systems are specifically designed for auto protection and inexpensive to maintain. 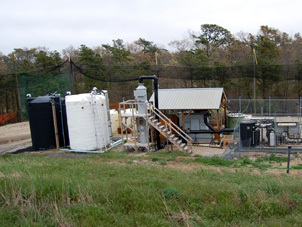 In Situ landfill treatment - An injectable sulfur oxidizing bacteria drip array that has been continuously improved since being introduced in the mid 1990's. Microbial oxidation of sulfur reduces the amount of H2S produced in situ. Each custom solution can be installed and maintained with little changes to existing gas systems. 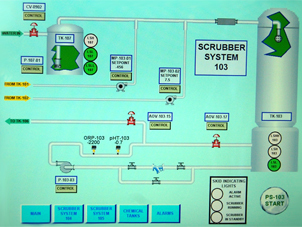 The system can be directed to specific regions of H2S production. The system can significantly reduce fugitive noxious odor release.